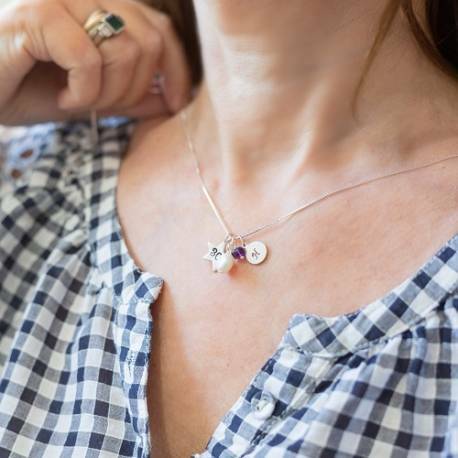 Create a unique one-off personalised jewellery gift with our beautiful disc charms. These shiney disc charms look great attached to bracelets and necklaces, giving your jewellery a personalised touch. 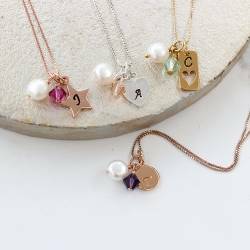 Your charm will be sent already stamped with the initial of your choice, and comes complete with a jump ring for attaching to your jewellery. Each letter is hand stamped and patinised (black finish) so it stands out, or we can leave it silver or gold (clean finish). The font used is upper case calligraphy and the letters are approx 3mm high. We can only stamp one letter on the front of each charm. The disc is approximately 9mm with the loop it hangs approx 14mm from the chain.